The traditional role of women in Celtic culture was one of equality in the Brehon Law. The coming of British law changed that and the subordination of women to the nursery and the kitchen began. But, there were always strong Irish women beneath it all. Those who knew the true value of Irish women never doubted their ability and the Ban naTigh (woman of the house) was a valued influence even though shuttered out of official society. The group of Irish scholars who emerged in the mid-1800s from the Gaelic Revival, translated literature from ancient Irish history and inspired a revival of interest in the Gaelic culture. The translations awakened many to the place of women in Gaelic society and a renewed respect resulted. In October 1881, when the government declared the Land League illegal and Parnell and its leaders were arrested, they never gave a thought to Parnell’s sisters, Frances (Fanny) and Anna. However, the Ladies Land League took over the struggle while the men were in prison and proved to be even more radical than the men. When the Gaelic League was founded in July 1893, women were not only accepted as members but even as officers. In 1898, the centenary of the 1798 Rising was celebrated with a burst of nationalism and Arthur Griffith started a nationalist newspaper called The United Irishman; he did so with Irish women. In fact, his friend, Mary Ellen Butler, casually remarked that his ideas were the policy of Sinn Féin (ourselves alone) and Griffith enthusiastically adopted the term as an expression of separatist thinking. It became the motto of the Gaelic League and when Griffith started a political party in 1905, he named it Sinn Fein! Although the British establishment paid them little mind, Irish Women took more than a subordinate role in the affairs of their nation. 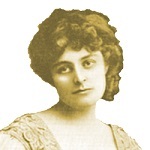 By 1900, Maud Gonne formed Inghinidhe na hEireann (in-EEN-ie na HAIR-inn) or Daughters of Erin – a revolutionary society to encourage all things Irish and boycott all things British. Their strong nationalism found expression in their newspaper Bean na h’Éireann edited by Helena Molony. 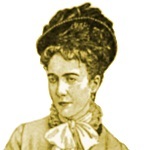 They produced patriotic plays as part of the Irish National Theater Society founded by Lady Gregory with W.B. Yeats in 1898. Irish women had close ties with Irish men for they knew that when Ireland was free, women would also be free. They cited the admission of women to the Gaelic League as evidence that their men would treat women as equals as it had been in the ancient times. In 1903 Arthur Griffith formed The National Council with Maud Gonne as a pressure group to increase nationalist representation on local councils. In April 1914, Agnes O’Farrelly and a group of ladies founded Cumann na mBan (Council of Women) as a Ladies Auxiliary to the Volunteers to advance the cause of Irish liberty and assist in arming and equipping Irish men for the defense of Ireland. In the burning GPO, Pearse said, when the history of this fight would be written, the foremost page in the annals should be given to the women of Dublin who had taken their place in the fight for the establishment of the Republic. He also told them to carry on the fight for he knew they would rebuild the resistence. In later years Kathleen Clarke confirmed, Without the efforts of the women of Cumann na mBan, the Rising would have been for nothing. After the Rising she told the women, Our men are nearly all in prison, some are dead, and it is up to us to carry on their work. Let us show our enemy what Irish women can do! They began reorganizing and by 1917 had more than 100 new branches across Ireland which would help to recruit a new force for the coming war of independence. How fortunate for Ireland that most British really didn’t see Irish women activists as anything more than suffragettes. From the mid-19th century, middle-class suffrage women in Ireland campaigned for the right to vote, but in the early 20th century, they became more militant. 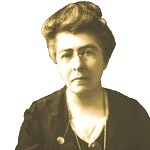 In 1908, Hanna Sheehy Skeffington and Margaret Cousins set up the Irish Women’s Franchise League (IWFL) for activists who had lost patience with the moderate tactics of older organizations. More outspoken, their aim was to include women’s suffrage as part of the new Home Rule Bill. However, John Redmond’s Irish Parliamentary Party (IPP) felt that female suffrage would de-stabilize its political alliance with the Liberals and jeopardize the passage of the Bill which, when introduced, did not include a female franchise. In response the IWFL stepped up its campaign, chaining themselves to railings and breaking windows in public buildings including Dublin Castle, the GPO and Custom House, which led to a swift response from the authorities. Several were arrested and imprisoned. In July 1912, two members of the Women’s Social and Political Union (WSPU) a militant group of suffragettes in England traveled to Dublin to protest at a visit of Prime Minister Asquith. They threw an axe which missed him and grazed John Redmond. The women, Mary Leigh and Gladys Evans, were arrested, imprisoned and went on hunger strike. Despite the fact that the Irish women resented the intrusion of WSPU members in Irish affairs, several imprisoned IWFL members went on a sympathetic hunger strike. The IWFL women were soon released. The suffrage movement began taking an interest in the plight of women workers and, in 1911, Sheehy Skeffington and Countess Markievicz shared a platform with Delia and James Larkin at the launch the female trade union, the Irish Women Worker’s Union (IWWU). Markievicz declared that while women may not have the vote, a union such as now being formed will not alone help you obtain better wages, but will also be a means of helping you get votes. During the Lockout of 1913, IWFL women and IWWU women worked the soup kitchen in Liberty Hall. Many suffrage campaigners, influenced by James Connolly, joined the IWWU and, later, the Irish Citizen Army. By late 1914, despite differences about suffrage first or nation first, the women in Cumann na mBan, the IWWU, the Irish Citizen Army and the IWFL co-operated on many issues and their influence can be seen in the wording of the Proclamation of 1916. Then, in January, 1918, 100 years ago, Britain decided to reform their electoral system by the Representation of the People Act. Returning soldiers, 21 and older, who had been denied votes because of property qualifications, had almost all property qualifications removed and the vote was also given to women over 30 who met minimum property qualifications. The rationale for allowing soldiers to vote is obvious, but the consent to the women is arguable. Some say that the Suffragettes had shocked society and a war-weary Crown did not want a return to violent demonstrations. If that be true, then the role of the Suffragettes was more important than originally thought. There was also the belief that except for demanding the vote, women were relatively inactive; but to be on the safe side, they were not given equal measure with men; the age 30 requirement was to ensure women did not become a majority of the electorate. The size of the electorate tripled from 7.7 million to 21.4 million and women were 43% of that vote. However, the misguided belief in the frailty of Irish women would be the flaw in their Bill which they drew up in January and passed on 6 February, 1918. In Ireland’s coming election, women would tip the scales in favor of the nationalist cause as Sinn Fein would win 73 of the 105 contested seats. 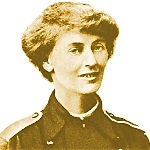 Across the Empire, several women would even run for election, but only one would be elected – the Sinn Féin candidate, Constance Markievicz. She would be the first woman ever elected to the British Parliament, but she would not sit at Westminster; instead she would sit with other elected Sinn Fein members in a parliament of their own – Dáil Éireann – and restate the goals of the Proclamation of 1916! One hundred years ago, the struggle was about to begin anew!